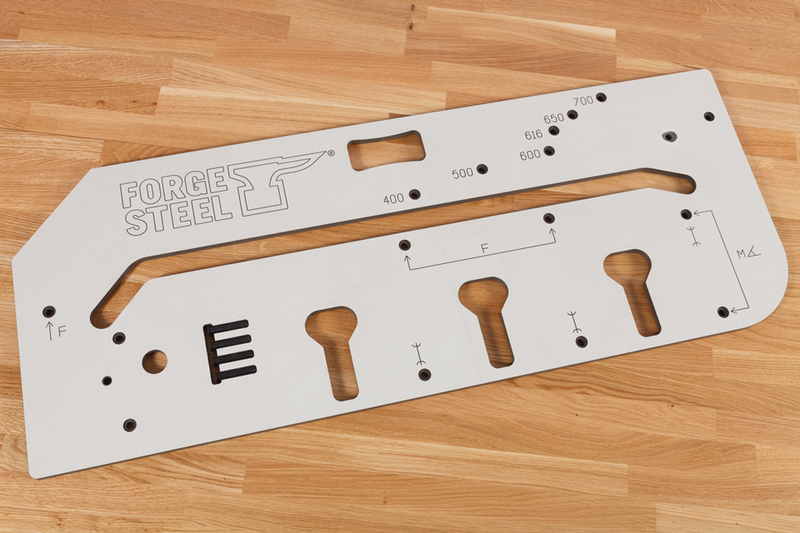 A top-quality worktop routing template from Fore Steel that is perfect for cutting and joining worktop widths between 400mm-700mm inclusive. Unlike our standard 700mm jig, this particular model is made of 13mm Tufnol, which is designed never to distort. It features handy peg slots at common width intervals, with 4 aligning pegs included to ensure you are able to make an accurate cut.